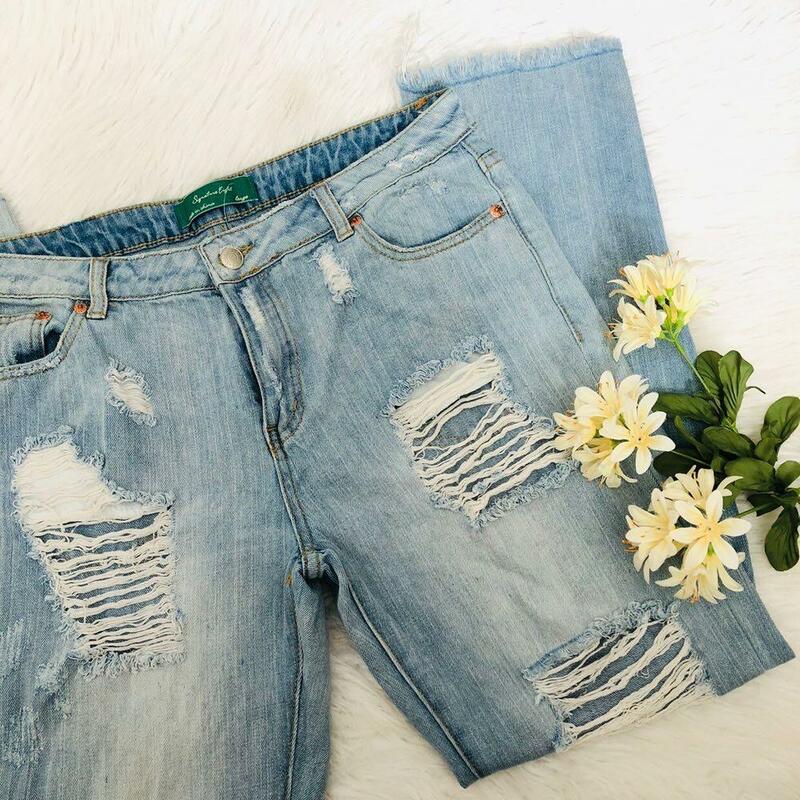 Great distressing all over the jeans for those upcoming festivals and hot summer days!! Also the very popular style on the ankle ! Wear with your favorite booties!